OLD GALA HOUSE, SCOTT CRESCENT, GALASHIELS. Any “Ordinary Member” wishing to raise any business or introduce any proposal at this General Meeting should give written intimation of such business / proposal – along with details of Proposer / Seconder via the ‘contact us’ page on this site. On Friday 11th November we held our Annual Dinner & Presentation evening in the Kingsknowes Hotel, Galashiels. This year saw another increase in the numbers attending and we had a mixture of 21 Life Members, Members & guests around the table for what proved a very relaxed and enjoyable evening. After the Chairman’s welcome, introduction & toast to “absent friends”, Life Member & Entertainments convenor – Mr Tom Dalgleish said Grace and a minutes silence was observed in remembrance of the fallen. Following Dinner the presentation evening commenced, the Trophies were presented by Life Member Mr Les Thin to our 2016 Competition winners and the 2016 Champion Angler. The Committee members of Gala Angling Association are currently looking to expand the benefits of membership of the Association and try to increase access to fishing waters for our members. One of the options being looked at is taking a weekday membership at the Watch Water Fly Fishery near to Longformacus in Berwickshire. The option on offer to us at the moment is a one weekday membership (Monday to Friday) – for two rods, fishing from a boat – or bank if the weather conditions do not permit use of the boat. Fishery will remain open until the end of October. Fishing will be between the hours of 9AM till dusk. We would have the same nominated day & boat each week. Fishing Catch & Release – any fish killed would be charged for over & above permit price. Use of & access to the lodge toilets. Costings are still to be finalised bearing in mind we would need to purchase life vests, outboard, batteries etc. There are other terms & conditions however, before YOUR Committee make any decision on what will be a significant cost item of expenditure for 2016, we want to make sure that YOU -the members of the Association – would use The Watch Water Fishery. Please use the “contact us” link to let us know what you think about this idea – would you support / use the fishing on offer? REMEMBER – it’s your Association and this is another opportunity for you to have your say. This isn’t intended to be a comprehensive angling guide, just a few pointers for novices and beginners which will hopefully help put a few trout in the net. Fly identification is important but not something we will consider in detail just now. 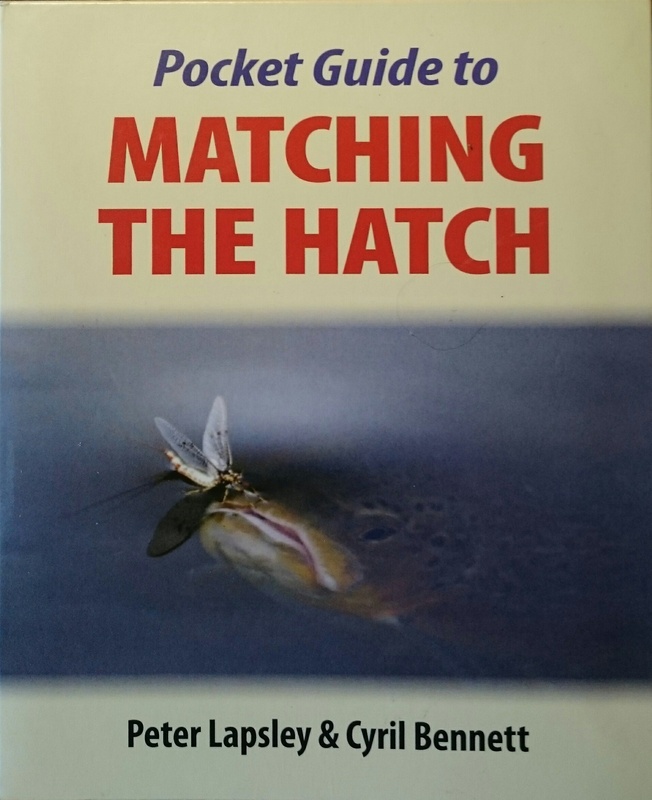 However, if you’re a river angler you should consider buying “A Pocket Guide To Matching The Hatch” by Peter Lapsley and Cyril Bennett. This is an excellent little book and is available online for around £6. It explains everything in simple language which should help even the most inexperienced angler to make an informed choice of fly rather than a hopeful guess. Well that’s the Annual General Meeting done & dusted for another year and here’s an update to keep you, our Membership, up to speed with what is going on within your Association. The trout season on the Tweed has long since finished and we are now looking forward to the first of December when the winter grayling season starts. Grayling fishing has become more and more popular in recent years and is a great reason to get out on the river during the cold winter months. The Tweed holds some fantastic, specimen sized grayling with fish of over 2 pounds – and sometimes even larger – caught regularly. For the first time, Gala Angling Association are holding a river grayling competition (for local members only) on Saturday 12 December. The competition will run from 10am until 4pm. Entrants should meet at Old Lindean Bridge at 9.45. As all grayling fishing on the Tweed is catch release, entrants will be drawn in pairs and asked to verify each other’s catches. The fishing is fly only – no bait fishing is permitted. Anglers will return to the Bridge for the results – a Cup will be presented to the winner at a later date. To enter, please contact Mike Allan at Border Angling Centre, Galashiels, either by popping in to the shop or by telephone on 01896 751620.